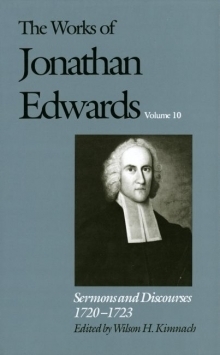 The volume includes a general introduction that puts Edwards's thirty-five years of writing and preaching into a broad literary and historical context. Based on the study of his entire sermon corpus—including over seventy printed sermons and twelve hundred sermon manuscripts—as well as related notebooks, letters, and treatises, the introduction enables readers to understand the elaborate network of working papers through which Edwards evolved his thought, as well as the critical function of the sermon in testing and developing expression of that thought. The introduction also explores the literary context of Edwards's writing, especially relating to the theory and practice of homiletics.